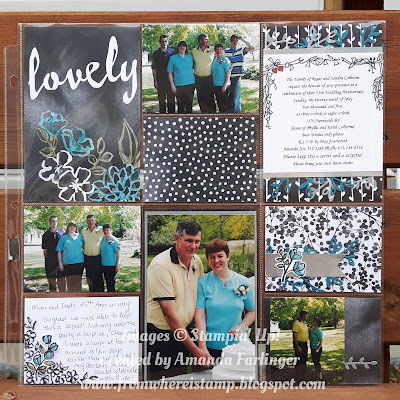 From Where I Stamp: Display Stamper Projects! Even though Christmas is not too far away, I'm already looking forward to the new year and new catalogues!! Today I'm sharing some projects that I've designed for my application for display stamper for OnStage in April using products from the upcoming 2018 Occasions and Sale-A-Bration catalogues. 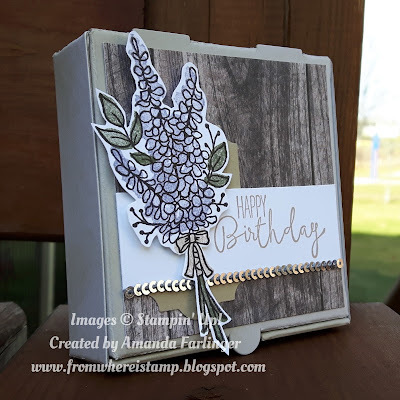 My first 3D item features the Lots of Lavender Sale-A-Bration stamp set and Special Celebrations stamp set from the Annual Catalogue. I spritzed the white pizza box with Crumb Cake ink and alcohol. It's finished off with a piece of Wood Textures Designer Series Paper and a piece of Silver Sequin Trim. Colours: Always Artichoke, Wisteria Wonder, Crumb Cake, Whisper White. My second 3D item is a decorated acetate box featuring my favourite new stamp set: Magical Day! The adorable knight was coloured in with water colour pencils and an aquapainter. 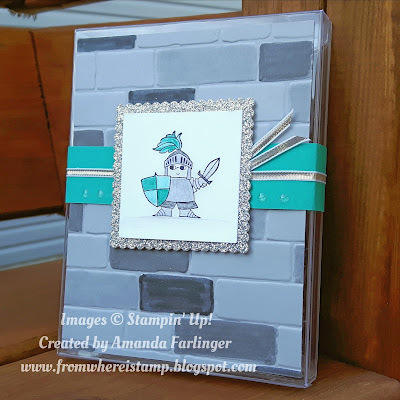 The bricks were coloured in with Stampin' Write markers. Colours: Bermuda Bay, Smokey Slate, Basic Gray, Silver, Whisper White. This card uses a piece of the new Sale-A-Bration Bubbles & Fizz Designer Series paper. The yellow design look just like honeycomb! 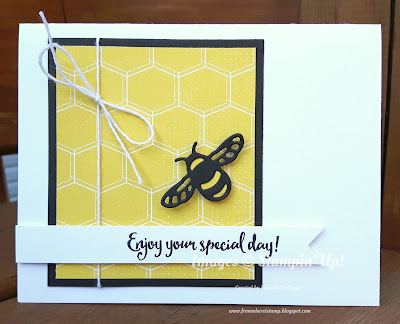 A little bee from the Detailed Dragonfly Thinlits completes it! Colours: Daffodil Delight, Whisper White, Basic Black. 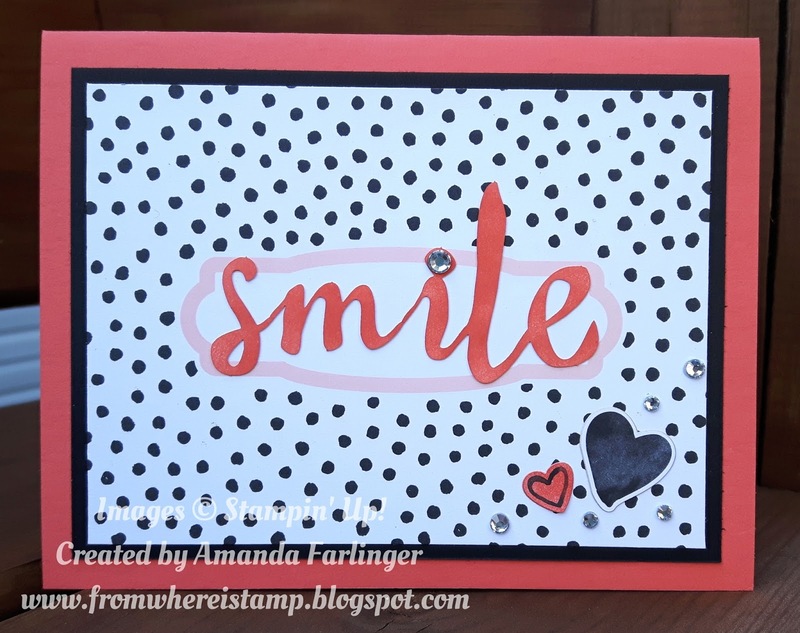 This card uses Petal Palette Memories & More card pack (with its fabulous stickers!). 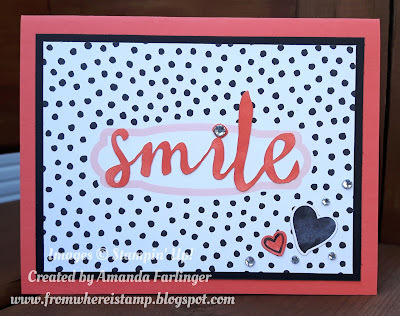 The smile is a cut-out that comes with the card pack that I sponged with Calypso Coral ink. I also sponged the little heart sticker. Colours: Calypso Coral, Basic Black, Whisper White, Pink Pirouette. 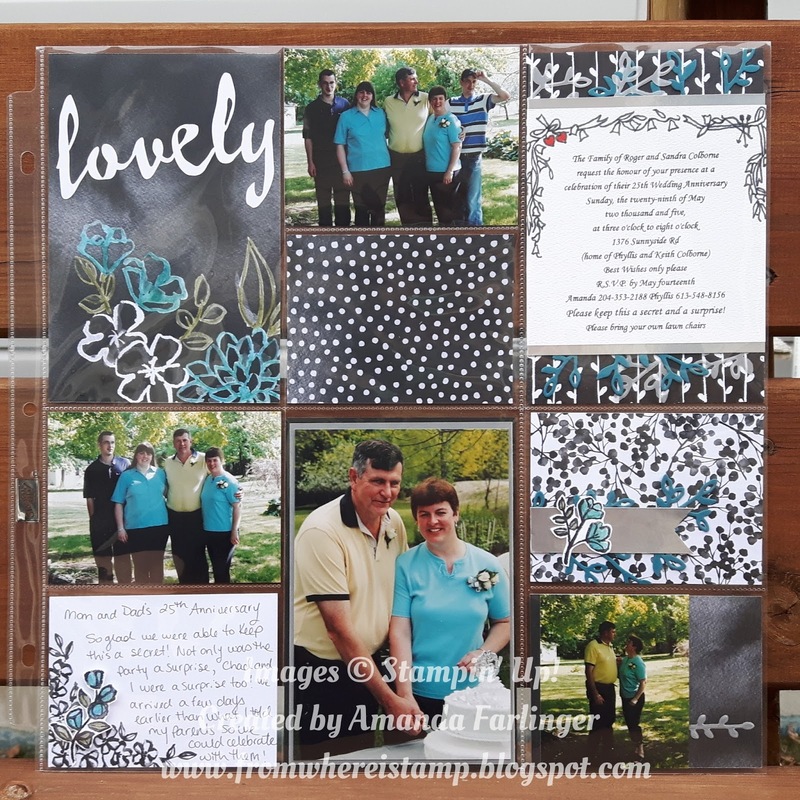 My scrapbook page is my last project and it uses the Petal Passion suite. These pictures are from my parent's 25th Anniversary in 2005. The flowers and leaves were coloured in using Watercolor Pencils and a blender pen. 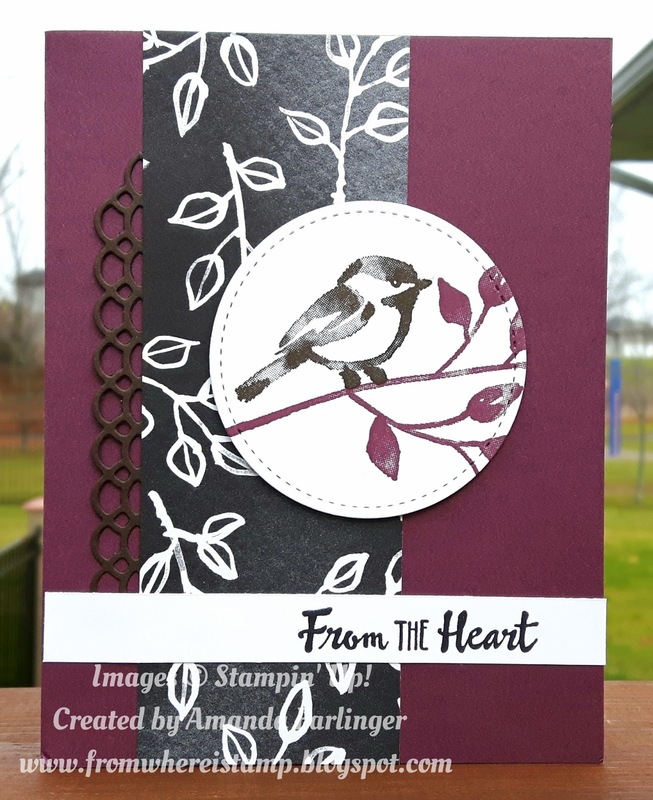 The lovely word is a cut-out embellishment included in the Petal Passion Memories & More card pack. Colours: Island Indigo, Whisper White, Silver, Basic Black, Old Olive, Smokey Slate, Vellum.